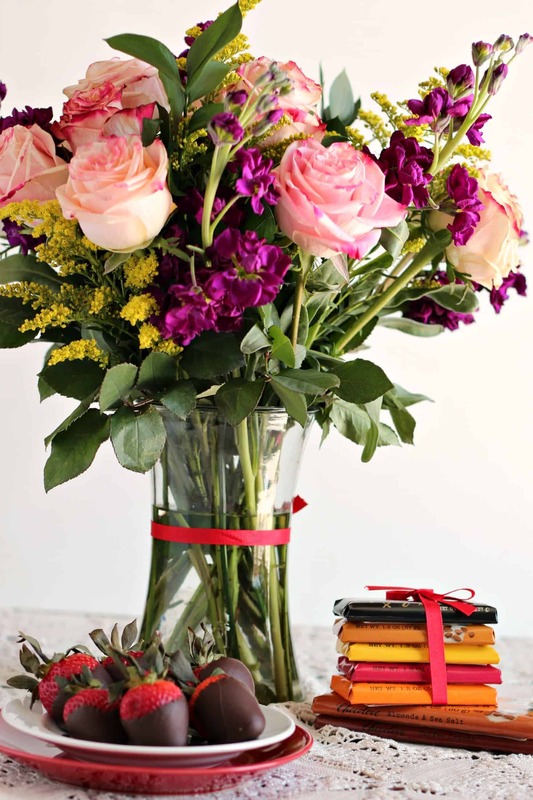 The elements of many Valentine celebrations consist of chocolate and roses. With that simple combination you cannot go wrong. The trouble creeps in to the decision-making process when you are faced with more complicated matters: how much to spend, where to buy the flowers, should they be delivered by the florist or in person, should you buy a box of chocolates, should you make a fancy chocolate dessert…??? Yes, this is why Valentine’s Day is overly complicated and not always the joyful day of celebrating those you care about as it is intended. #WholeFoods can make your Valentine’s Day a few steps easier this year. One stop shopping at its best: buy your flowers at your local Whole Foods Market and grab other ingredients for your celebration too. Whole Trade roses are perfect for this Valentine’s season because you are not only giving a beautiful gift of flowers but you are joining in Whole Foods’ effort of “improving lives with every purchase“. The Whole Trade program aims to better the communities in which the producers live and work in countries near and far. To combine quality of product with compassion for the people who make the product shows a high standard of care and responsibility to our environment. My local Whole Foods is running a fantastic special on these roses: one dozen Whole Trade roses, filler flower of your choice, greenery, AND a vase ALL for the price of $29.99. As you can see in the photo I took of my Whole Trade roses, the arrangement is stunning and rivals any florist’s offerings. I am thrilled to enjoy it this Valentine’s Day! 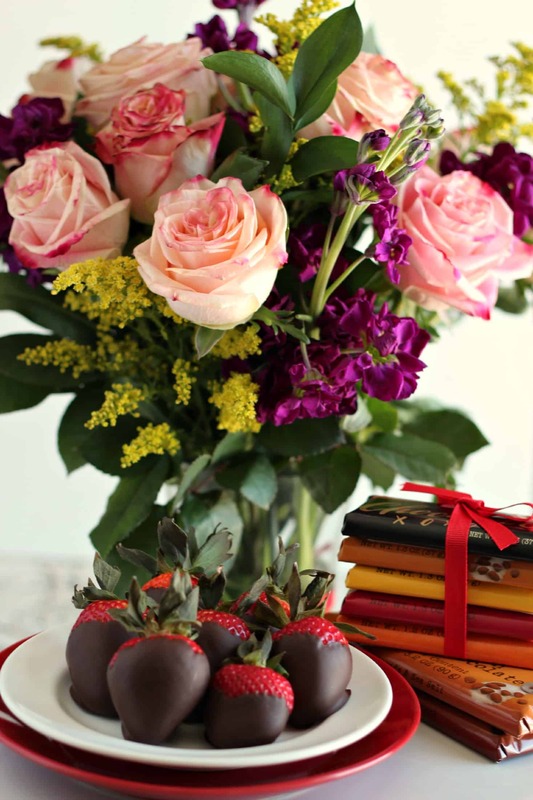 Let’s get to a simple and impressive treat to deliver with your roses: chocolate dipped strawberries. It’s hard to call this a recipe as it is more of a process– 1. Buy high quality chocolate, melt it, dip the berries in it. Done. It is that easy. And did I mention delicious? Yes, impressive too. 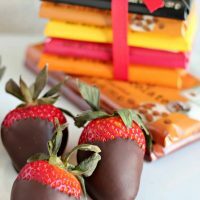 Making chocolate covered strawberries is easy to do at home! Skip the expensive store bought berries and enjoy this homemade version. Melt the chocolate in a microwave safe bowl on half power for one minute. Mix. Melt again in 30 second increments on half power. You'll likely do this two or three times. Stop using the microwave when you can still see some small chunks of chocolate in the melted mixture. Stir thoroughly until all the chocolate is smooth. Make sure the strawberries are completely dry. Water and chocolate are not friends. Dip the strawberries into the chocolate then lay on a parchment lined baking sheet and allow the chocolate to set. I prefer to serve these the day they are made. You may refrigerate them but the chocolate will develop a bit of condensation and you'll have to gently wipe it away before serving. These taste so good you won't need to save them for a second day! Please note that all opinions here are my own. This post was made possible by Whole Foods through their Whole Foods Market Ambassador program. I was provided the flower arrangement pictured. No monetary payment was made. This $25 gift card giveaway is for U.S residents only. There is no purchase necessary. There is no obligation to use the gift card for flowers, you may use it at Whole Foods Market as you wish. Your email address will only be used for the purpose of contacting you if you are the winner. Rafflecopter will be used to select a winner at random at the end of the giveaway period. Winner to be announced shortly thereafter and will have 48 hours to respond to email notification before another winner is selected. GIVEAWAY HAS ENDED. Such a pretty post Holly! Just perfect for Valentines day. I love chocolate covered strawberries. 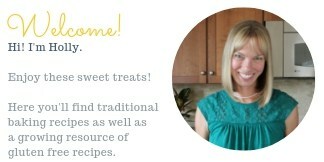 Looks great, Holly! I’ve had a tough week and can’t wait to stop in and get some roses! I think I need the chocolate, too! Abbe I was sorry to read about your difficult week. I hope your days brighten soon! 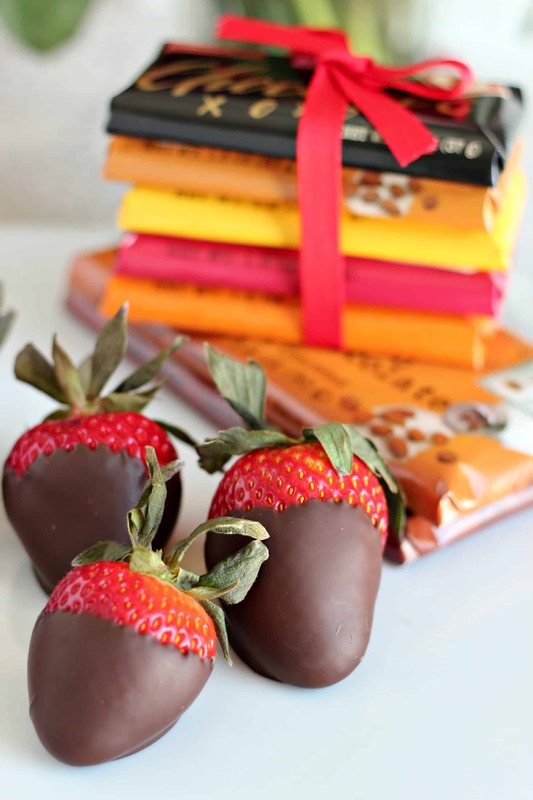 Love those flowers and I love how pretty your chocolate looks on the strawberries! Looks very Pro! Well done, Holly! I want some Valentine’s Day flowers…guess I’ll have to go myself some huh? These look gorgeous!